Can You ID What All The Buttons On This Steering Wheel Do? 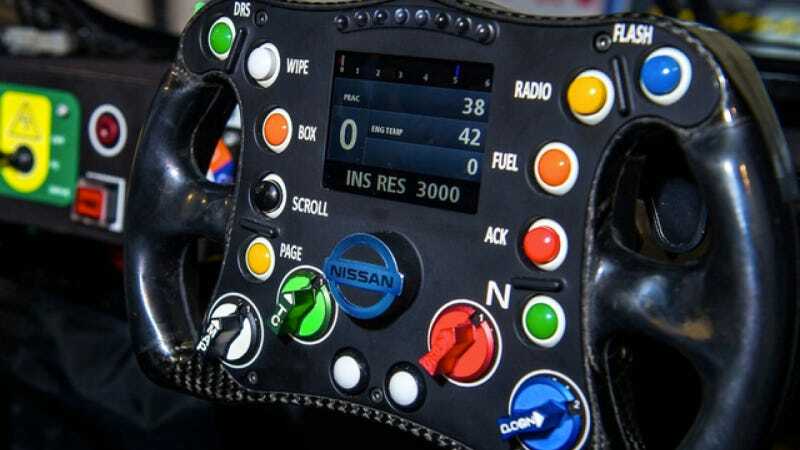 An extensive photographing of the Nissan ZEOD RC at Fuji Speedway revealed more than a phallic shape, it also showed this beautifully complex and informative steering wheel. Can you identify what every button and toggle does? HINT: You can annotate the image at the bottom of this post. Below is the official press release from Jalopnik's own sharing-machine— the PRBot blog. We're using it to give you a chance to talk about the news that might otherwise slip through the cracks.